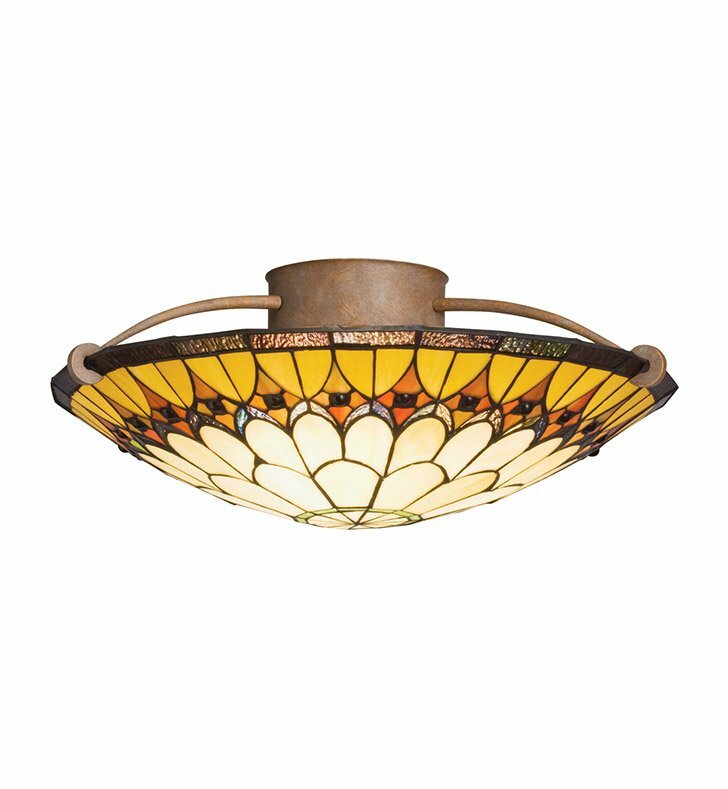 Questions about Kichler Lighting 69017? Make a grand statement in your home with this 3 light semi flush ceiling fixture from the Indio collection. Featuring a luxurious Doré Bronze finish and intricately crafted Art Glass detailing, this design will elevate and enhance your home. Dimensions: H 6" x W 19"